Some people just know what kind of mattress they want. For many people, a firm mattress is the prize they have their eye set on. 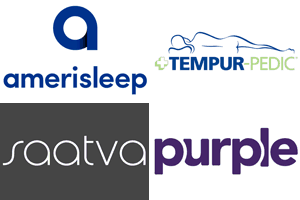 However, there are many firm mattresses on the market today, so which one is best for you? This guide will help you find the perfect firm mattress to fit your needs. 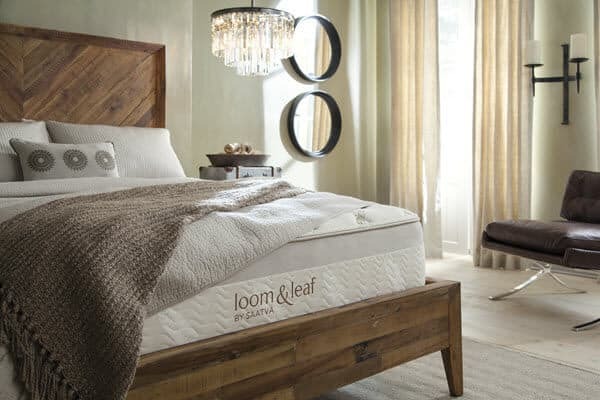 We’ll start with a look at who might benefit most from a firm mattress, discuss the different qualities that you can expect in a firm mattress, and then offer some of our favorite firm mattresses so you can finish your search for the perfect night’s sleep. What Sleepers Need a Firm Mattress? When it comes to needing a firm mattress, back, stomach and heavier sleepers are prime candidates. A firm mattress helps back sleepers keep their spine in alignment and avoids the sag that you can get in your posture from a mattress that’s too soft. Stomach sleepers will benefit from a firmer mattress for similar reasons. When you sleep on your stomach you create a very flat profile. The result is that there are fewer gaps between your body and the mattress. A firm mattress can help prevent your back from arching, which can cause aches and pains. Moreover, a firm mattress can also help stomach sleepers prevent their hips from sinking into the mattress, which can throw your body out of alignment. Heavier sleepers also benefit from a firm mattress. The extra push-back a firm mattress provides helps make sure these sleepers get the support they need so they can wake up feeling refreshed. Another category of individuals that might benefit from a firm mattress are those who experience back, neck, or hip pain. A firm mattress can help to reduce these pains by keeping your body in the proper alignment all night. Oftentimes, these pains are caused when your body isn’t properly aligned, causing you to adjust your weight and create unusual and unnatural pressure points on your most sensitive joints. The first benefit of a firm mattresses is that a firm mattress is less likely to develop a sag, and any sag that does develop will take much longer to form than it would on a softer mattress. It’s important to note that there are many different reasons a mattress might sag, so if you’re having this problem currently, then a firm mattress might not be your only option. Ideally, you’ll want to get 8-10 years of use out of your mattress. A firm mattress can help make sure that becomes a reality. Getting more time between mattress purchases helps maximize the value for money you get on your purchase, which is something everyone can get behind. Another reason that some people prefer a firm mattress is edge support. We do more in our beds than just sleep. Many people sit on the edge of the bed while getting dressed, talking, watching TV, or other activities. The edge of the bed can also be used for adult playtime. A firm mattress helps prevent edge sag, as a firmer mattress will generally hold its shape and function better and longer than a softer mattress. Moreover, if you share the bed with someone, you may find yourself sleeping on the edge of the bed. A sagging edge can make you feel like you’re about to roll out of the bed, which is not a good way to get a restful night’s sleep. Core support is another great reason to consider a firm mattress. Lots of people have problems or wake up with aches and pains if their body isn’t properly aligned while they sleep. A softer mattress can cause the heavier parts of your body, like your hips, to sink deeper into the mattress than the rest of your body. The result is poor alignment and several aches and pains. In addition to offering more core support, a firm mattress also offers more consistent core support. Some people may think that a softer mattress is fine for them because they only occasionally wake up with aches and pains in their major joints. However, this kind of wear and tear on your body can build up over time. Moreover, because you’re in these unnatural positions for hours at a time as you sleep, the damage you do to your body can be even more intense than you realize. Another good reason to favor consistent core support is that you won’t toss and turn as much at night. Tossing and turning is usually a product of pressure points created by your mattress, so maintaining proper core alignment can help to reduce or eliminate the habit. When you stay still in your sleep your body can focus more on getting the rest you need. As a result, you may find that you feel better and have more energy when you sleep on a firm mattress. The last thing we’ll discuss that you should consider when selecting a firm mattress is the mattress’s breathability. Our guide to cool mattresses goes into a bit more detail, but the biggest factor in determining how cool a mattress stays at night is the amount of airflow it gets. This is a good incentive to make sure you’re picking high-quality materials for your mattress so you can get the firmness and support you need, while still allowing your mattress to move air in and out of itself. The enhanced airflow keeps the temperature of the mattress lower, and also helps to keep it dry, as the air motion can help wick away any moisture or sweat that can accumulate over the night. We’ve all had those mornings when you feel like you’ve woken up in a puddle, so getting the proper airflow for your firm mattress can help prevent this. The best way to ensure your mattress has good breathability even though it’s firm is to pick a mattress that has features specifically designed to aid in the airflow through the mattress. Many of the companies making memory foam mattresses have started to incorporate features like open-cell designs, aeration, or different gel infusions to increase the surface area inside the mattress and create channels for air to move around.